Here at Riverside Dental Care, we are always excited to meet new patients that we can include in our dental family. We know that going to a new dental office can make some people a little nervous. So, to help you enjoy your first visit to our dental clinic, we have created a guide for your first visit to Riverside Dental Care. While we do have new patient forms at our clinic that you can fill out before your appointment, you can prepare ahead of time. You can download our new patient forms here, and have them all completely filled out before you come by our office. By doing this, you can make sure that you can make your appointment on time and not need to fiddle with paper when you should be meeting with our dentists. If you have any dental insurance coverage, you will want to bring the card with you. That way, our office can collect the needed information and bill your insurance. If you aren’t sure if your insurance is accepted at our dental office, you are always welcome to call ahead and discuss your concerns with our front desk staff. Most people visit a new dentist with a purpose. While we would hope you are going in for biannual dental cleanings, it is common for people to need other dental services we provide as well as a general dental cleaning. If you do have specific concerns when it comes to your dental health, you may want to write them down. That way you don’t forget when one of our dentists asks if you have any specific dental concerns that brought you into our clinic. Before you set out to your dental appointment at Riverside Dental Care, you may want to double-check which dental clinic you set up your appointment at. We have two offices here in Southern Utah—our original clinic in St. George and our new location in Washington. Since we don’t want you to be late, or even miss your appointment, we recommend that you make sure that you are headed to the right clinic. From the time you walk into our dental clinic, we do our best to make you feel welcome. If you have finished your new patient forms, you can give them to our front desk staff. Or, should you still need to fill out your paperwork, one of our front desk staff will give you the forms you need. After that is completed and our staff is ready, you will go back with a dental hygienist to have your X-rays taken to check for potentially hidden issues. We make sure to take X-rays with every dental cleaning. That way, our dentists can monitor the overall health of your teeth over time. Once those are completed, you will have a thorough dental cleaning. This cleaning will help remove anything a toothbrush and floss may have missed as well as removing plaque and built up tartar. One of our dentists will meet with you after the cleaning is complete and review your X-rays as well as checking your teeth. If there are any issues identified, our dentists will discuss them with you at this time. You can also bring up any dental concerns you while the dentist is with you. At the conclusion of your dental visit, you can set up an appointment to resolve any issues the dentist found as well as set up your next dental cleaning. 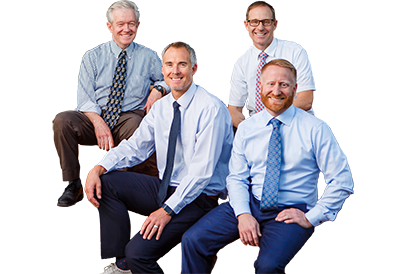 When you choose Riverside Dental Care as your dental health care professionals, you are choosing a group of dentists and staff who put your needs first and who will listen to your concerns. If you are ready to embrace caring dental help, schedule your appointment with us today.